Today, when you want to play a couple of rounds in Texas Holdem, the most popular poker game, you have no need to waste a lot of time travelling to some casino, that may be far far away from you, and then to spend lots of time trying to find a table with good stakes and a free place to sit. Now all you need is to play online. With great amount of games you can choose any game you want, and tables are always free for you to play, and only you can decide the stakes that will be placed at the table. Though, nothing is perfect with online gambling. And there are some things that can spoil even the most successful game. These things are connected with safety and security of the place you play. Fairness is probably the key point you need to consider when choose the gambling house. Now let us analyze all of the essential moments that are connected with fairness in online poker rooms and poker games. Probably the most important detail that ensures fairness of the game is RNG (random number generator), that is responsible for fair shuffling of the deck and dealing cards. The point is that in poker, and online poker as well, it is extremely important to have deck of cards which is thoroughly reshuffled. Playing online poker you may wonder how it is possible to be sure that all the hands which are dealt are not the same like in previous rounds. 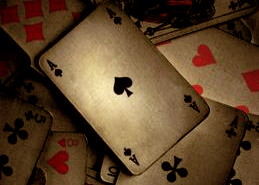 Due to the RNG it is impossible to have the same results of shuffling, as all the cards that come out are not connected with previous events, as well as process of shuffling cannot be influenced somehow. This is a common event in traditional casinos, but in online gambling houses it happens quite rarely, but the consequences are much serious, than in land based casinos. The matter is that online casinos work with software, and people who have access to it may develop software that will help to track cards, and even reveal the cards of your opponents. That gives an immense privilege to player who has this software. Usually casinos ban players who try to cheat them in this way, but if you are one of the casino insiders you can easily avoid that. Probably the most working way to define whether the casino supports the idea to be a safe place and provides all necessary for secure gambling is to look through information about casino license and certification. Usually, safe casinos have eGOGRA approval and are certified with gaming commissions. Rarely you can find a place that does not have any information concerning such issues, and it is better to avoid playing there. To sum up all mentioned above, we may say that playing online poker you need not only to know the rules of the game, but also to be able to find a place that supports the policy of fair gambling.